A few weeks ago, I was asked to write an article, helping to spread the word about a 5k that would benefit a girl by the name of Valerie Rae Bradshaw, who was killed in a boating accident at Lake Powell, back in June. Immediately, I knew the story. Having gone to Lake Powell nearly every year since I was a child, when I hear about tragedies there, it really hits home. I remember the way I felt when I heard about it, and exactly where I was; it was just one of those things. Being asked to write about it was such an honor, and I was so glad to help spread the word. As I studied up on Valerie, I learned so much more about her that I didn’t know. As was written in the article, Valerie led a life of service, specifically having spent time as a full-time missionary for the LDS church. This, and other missionary callings is what the 5K is intended for: Raising money for the General Mission Fund for the LDS Church, so that other missionaries are able to serve. As I learned more about her family, I felt a connection to her. She, too came from a large family (9 kids, with 2 sisters and 6 brothers). There are 10 kids in my family; I have 2 sisters and 7 brothers. The thing that touched me the most, was a picture of Val and her two sisters that was taken not long before her death. Her twin sister is expecting, and they all look so happy. Valerie is on the left with her two other sisters. 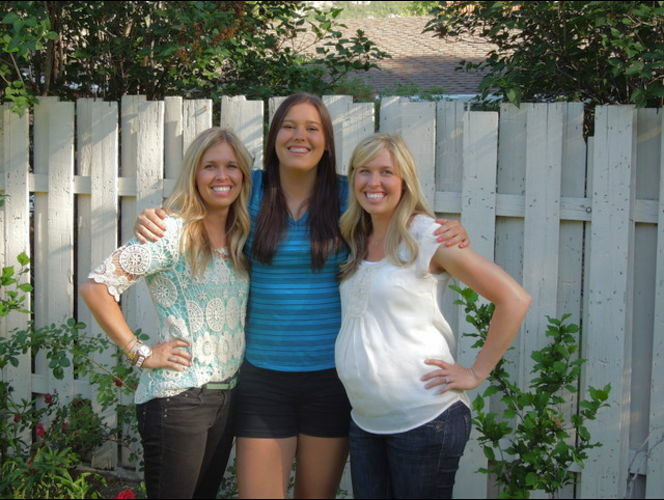 I have a picture of me and my two sisters shortly before my older sister’s death. I was expecting my third child at the time. I remember it being a good day spending time with family. If I remember right, it was the day of my younger brother, Rand’s mission farewell to Singapore. 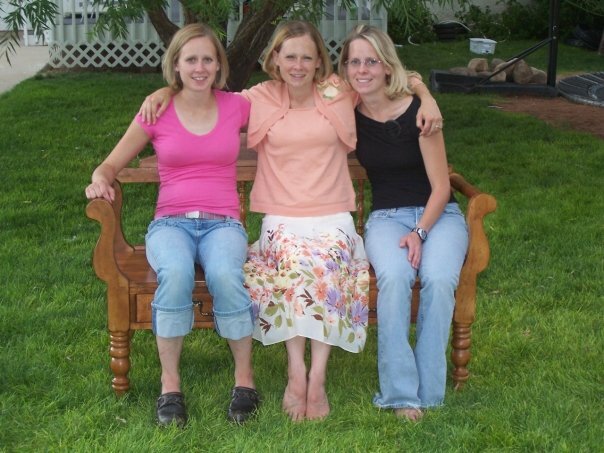 Me and my sisters Megan and Molly not long before Megan passed. At that time, we had no idea that it would be the last family photo we would take together. Looking at the picture of Val and her sisters, I’m sure holds a very similar feeling. And when I think of her sister who was expecting, I am reminded of the feelings and questions I had following my sister’s passing. I wanted to know if Megan was able to meet my son, Ace before he came to earth. Without saying too much, I know without a doubt that they were able to meet. I know the same can be said for Val’s sister. If you want to read the story and learn more about the family’s cause, here is the link to the article. This entry was posted in family exercise, Lake Powell, running and tagged ksl.com, Lake Powell accident, Valerie Bradshaw. Bookmark the permalink.